Tailor-made solutions for hotels and cruise liners who want to offer a personalised Wellness experience to their guests or passengers in the intimacy of their room or cabin. Answers ranging from single machines to multimedia tools which will fulfil a variety of requirements and respond to your guests’ numerous aspirations. The ideal solution for hotels with spacious accommodation options wishing to serve customers looking for a private Wellness experience. 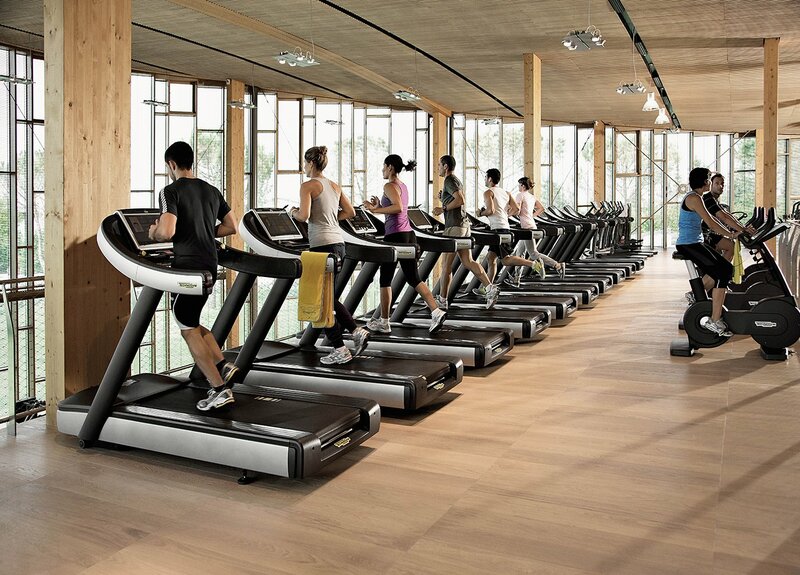 One prestigious piece of Technogym equipment will transform a suite or large room into a private gym. Where space is not an issue, Wellness Suite is the most attractive way of treating your guests to an unforgettable stay at your facility, by making them feel at home away from home. A convenient, portable solution which can be provided to guests directly in their rooms, Wellness Tools is a complete kit of specialised accessories created for people who wish to fit in a Wellness moment into their daily schedule. Crafted items which will blend discreetly into the environment and add a touch of exclusive style to your facility. A selection of multimedia tools ready to entertain your guests with active Wellness suggestions during their stay. Zero space requirements, yet an all-round solution for guests who wish to stay active at all times of the day, Wellness Videos are an immediate answer for hotels with space-efficient accommodation looking to offer premium quality support to their health-conscious customers. A host of solutions for hotels and cruise liners who wish to deliver the best possible Wellness experience to their guests or passengers. 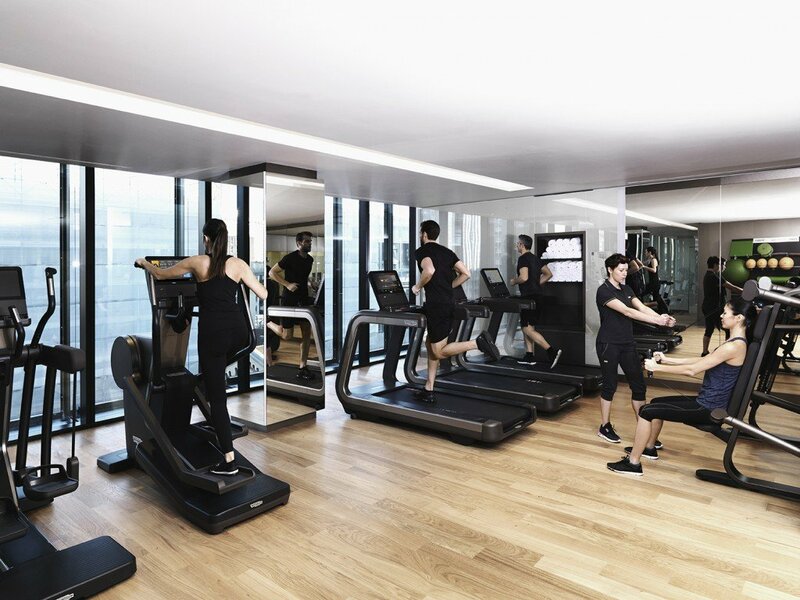 According to the space allocated, Technogym provides tailored projects which answer your needs and help attract discerning customers. A complete gym environment where your guests and selected members can enjoy a premium training experience. 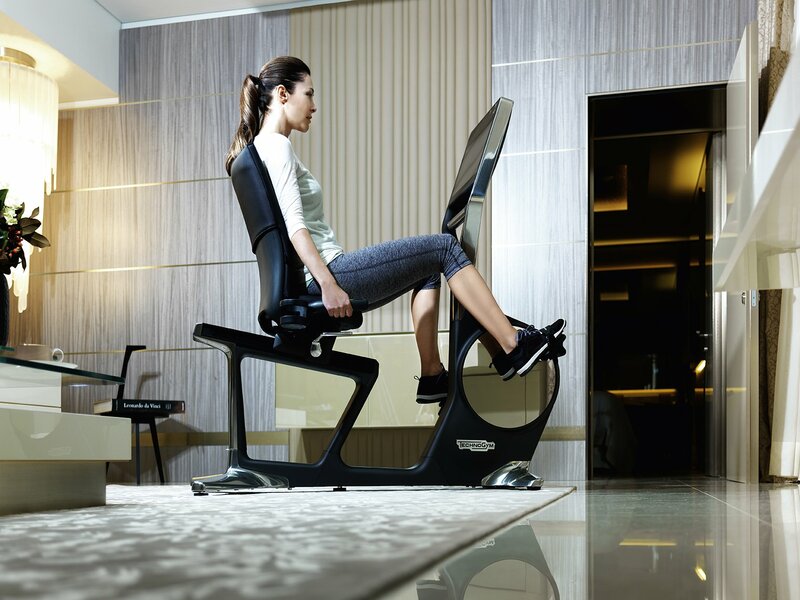 Wellness Club is the solution for hotels who wish to target guests and public members with a stylish offering based on Technogym’s new ARTIS range of cardio, strength and functional equipment. Cutting-edge, space-efficient design and energy saving technologies make the ARTIS range ideal for facilities looking to differentiate their offering and embrace the ethics of sustainability. A flexible, modular gym environment that satisfies both occasional gym-goers and those who wish to keep in line with their fitness goals wherever they are. Wellness Centre is for hotels who want to offer a personalised training environment for all their guests. Fitted with professional equipment and enhanced by interactive technologies to provide a highly personalised experience, this solution will boost customer retention and readily attract new guests. An exclusive training area specially designed to blend perfectly with the look and feel of your hotel environment, for guests in search of harmony and wellness. Wellness Boutique is a solution tailored to boutique hotels who aim at providing a unique, all-round experience for design-conscious customers. The concept is based on a selection of crafted pieces of equipment built to fill a smaller, luxury environment, created to emanate beauty and balance. A versatile solution for environments which can be used for small class activities or personal training sessions for guests. Wellness Studio brings the benefits of functional training to your facility, helping guests improve their ability in daily activities and sports. Equipped with ARKE™ tools or Kinesis® for functional routines or Plurima which is a space-efficient option for supervised or unsupervised strength training. Flexible answers to your guests’ spontaneous desire to experience Wellness in the hotel or cruise liner environment. 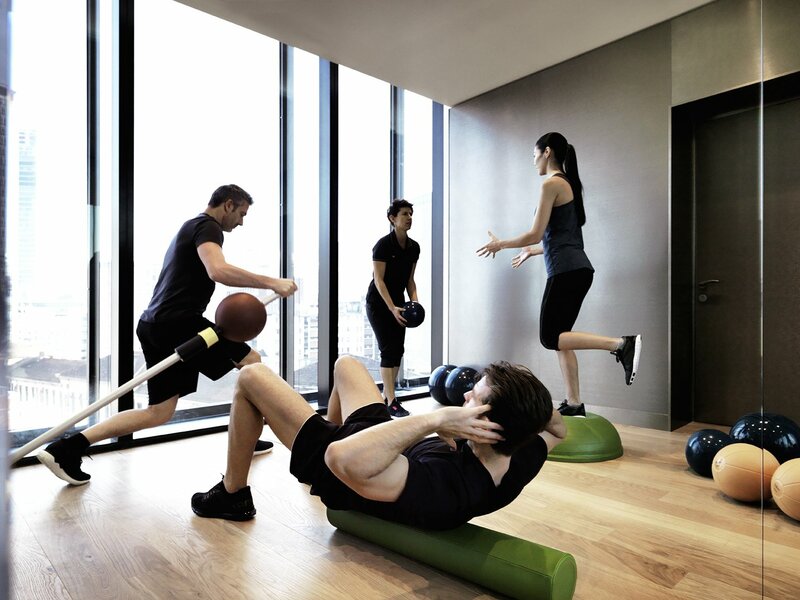 Technogym offers a range of tools or portable equipment which can be supplied to guests directly in their rooms. 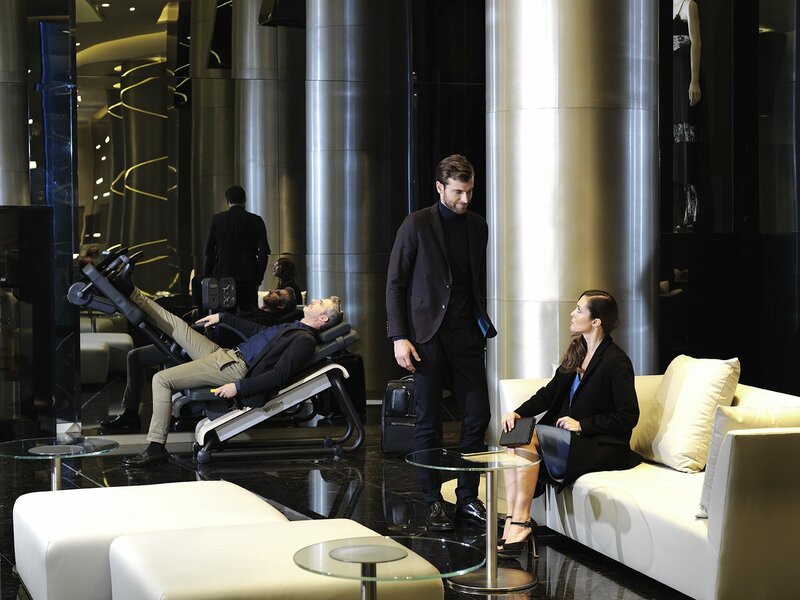 An elegant idea for common areas where guests will benefit from Technogym solutions allowing them to relax and regenerate in a special environment while waiting for a friend or a colleague. 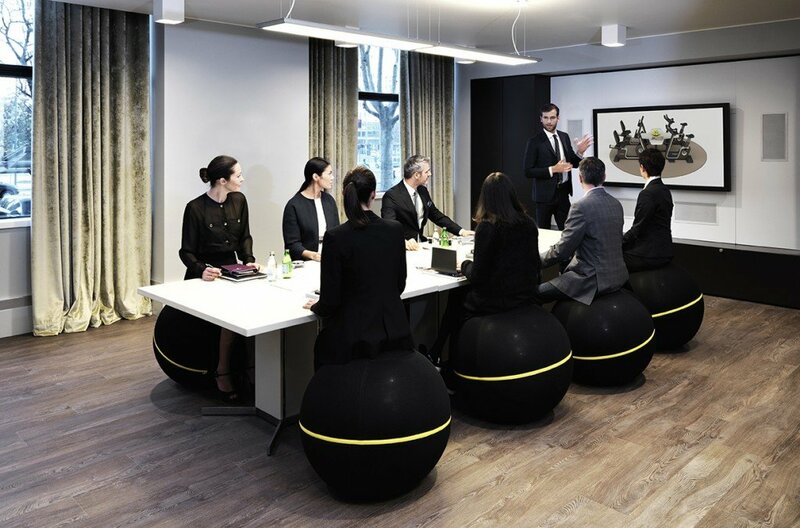 Perfect as an original way to furnish a lounge or a corner near the reception area, the much talked-about Wellness Ball™ – Active Sitting is also an attractive design element. A joint solution ensuring a comprehensive Wellness experience for guests who will happily spend time pursuing relaxation and healthy exercise routines during their stay. Wellness Spa combines the benefits of the modern spa with the excellence of Technogym equipment such as Kinesis®, ARKE™ or FLEXability. A distinctive way for business hotels to introduce the Wellness concept into everyday engagements, thus increasing their own appeal and attracting partners who share the same wellness-oriented principles. Business Meeting Room is an easy-to-implement solution ensuring an immediate response to an increasing market demand.